Windows is what fueled this era of computing – at least for the general consumers – it made enough money to make Bill Gates the richest man alive, and from there it has traveled a long journey adding and removing features. Over the decades, it has added a multitude of features and removed several other in the pursuit of staying ahead of its competition and always innovating, and its users have been loyal to it – mostly because it is the most used operating system around and therefore the most familiar and easy to use. However, it has also bloated itself with its legacy at the same time. Windows comes with hundreds of features that you might never use but are required to just be there for legacy support – making Windows is an extremely complicated operating system to build and maintain. These complexities only get in the way when you try to upgrade to the latest and great version of Windows – something that would result in loss of data if it was not for the amazing upgrade feature of Windows. It isn’t perfect though – one of the examples of its failures is when the upgrade process fails to install the default Windows 10 apps during the upgrade. This guide will help you attempt to fix the issue – it is not hard to do. Windows 10 apps missing from Start Menu – According to users, sometimes your apps can become missing from the Start Menu. This can happen if you have God Mode enabled, so be sure to disable this feature and check if that solves the issue. Windows 10 default apps not working – Sometimes your default apps won’t work at all on Windows 10. If this happens, you might have to reinstall them in order to fix this issue. Windows 10 default apps won’t open – Many users reported that default apps won’t open on their PC. This can be a big problem, but you can fix it by repairing or resetting your apps. 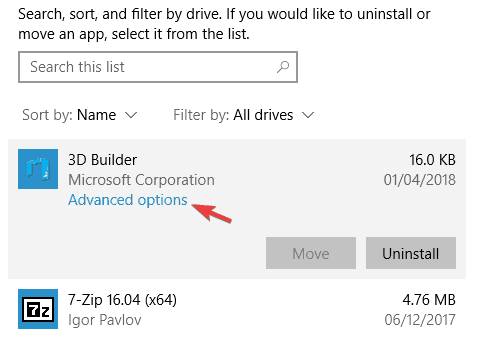 Windows 10 default apps not installed – This is another common problem that you can encounter. If this happens, you just need to download the affected applications again, and the issue should be resolved. 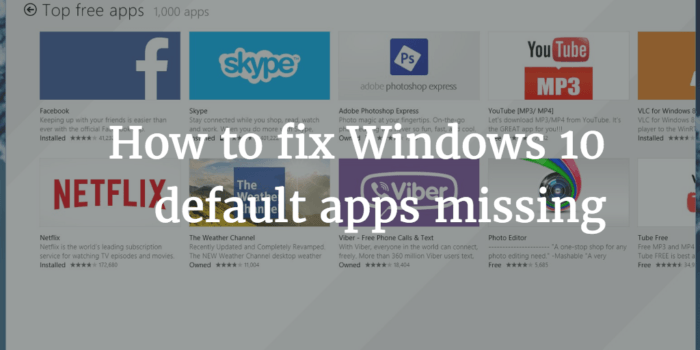 Windows 10 default apps corrupted – Sometimes your applications can get corrupted. 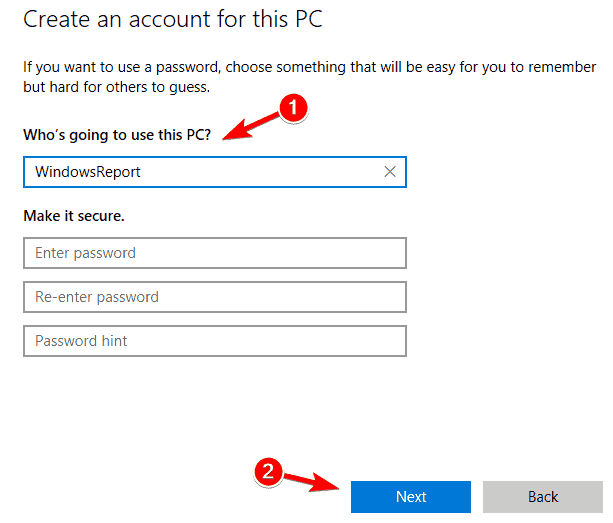 To fix the problem, you might have to create a new user profile or roll back to the previous Windows build. 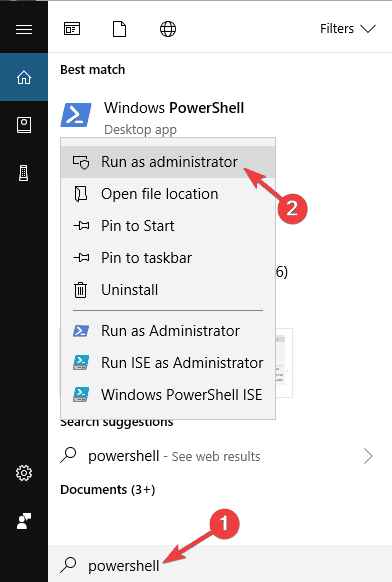 Open Start Menu, type “Powershell” and right click the top result, then click run as administrator. Now copy and paste this exact piece of command in your Powershell window – make sure it is running as administrator. Press Enter and wait for it to do its magic. 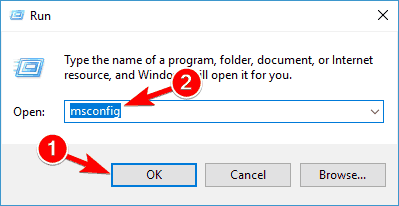 This simple 3 step process should install and register the default Windows 10 apps for you. When you press Enter it might look like it’s not doing anything but you must give it some time to download the applications and install them once again. You might need to restart your computer in some cases for it to affect – but it should work without a restart in most cases. Many Windows 10 users like to turn on a hidden feature called God Mode on their Windows PC. This feature allows you to access hidden and advanced settings easily, and it can be quite useful to advanced users. However, many users reported that God Mode can also cause Windows 10 default apps to become missing. To fix this issue, it’s advised to delete the God Mode directory from your PC, and the problem should be resolved. 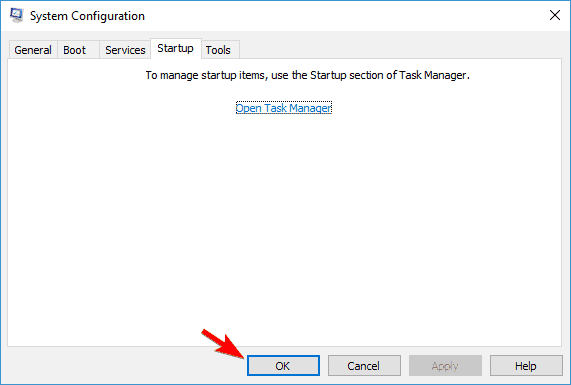 This feature isn’t enabled by default, and if you haven’t enabled it on your own, you might want to skip this solution. This issue can appear if you install a new build of Windows 10 while your antivirus is still running in the background. Sometimes third-party antivirus can interfere with your files and that can cause Windows 10 default apps to become missing after the upgrade. 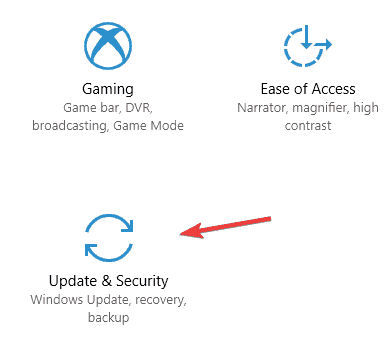 Go to the Recovery tab and click Get started button in the Go back to the previous version of Windows 10 section. Now follow the instructions on the screen to roll back to the older version. Keep in mind that you can go back to the older build only 10 days after the upgrade. If this option isn’t available, you might have to use System Restore to go back to the previous build. 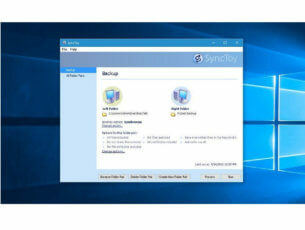 Once you roll back to the previous version you should disable your antivirus and try to upgrade again. Several users suggested that you might have to uninstall your antivirus in order to fix this problem. 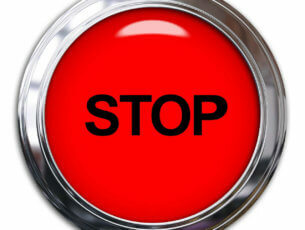 Once you uninstall it, the upgrade process should be completed smoothly and without any issues. If everything works after the upgrade, you should install your antivirus again or consider switching to a different antivirus solution. There are many great antivirus tools available, but the best are Bitdefender, BullGuard, and Panda Antivirus, so feel free to try any of them. 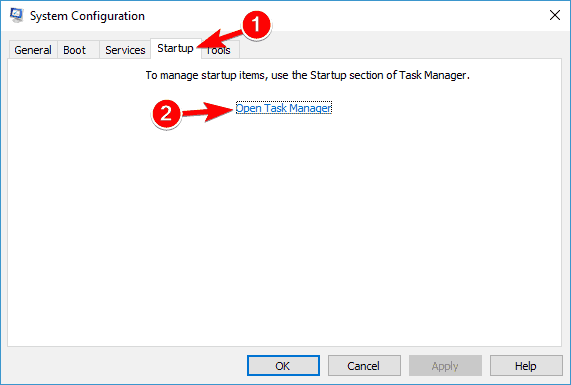 After doing that, go to Startup tab and click Open Task Manager. List of startup applications will now appear. Right-click the first item on the list and choose Disable from the menu. Repeat this step for all items on the list. Now go back to System Configuration window and click Apply and OK. Restart your PC. 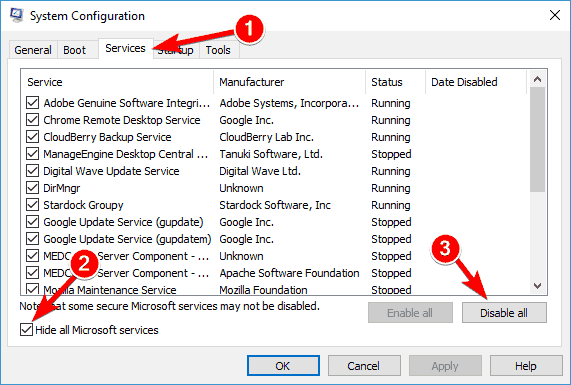 Once your PC restarts, all third-party applications and services will be disabled. Now you just need to wait for Windows to install the new build again. Once the new build installs, check if the problem is resolved. Once you download the tool, start it. Select Upgrade this PC now and click Next. Windows will now prepare your system. 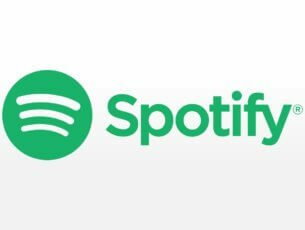 Now you’ll be asked to download and install updates. This step isn’t mandatory, but it’s usually recommended to download these updates. Windows will start downloading the necessary updates. This process can take a while, so you’ll have to be patient. Follow the instructions on the screen until you see Ready to install screen. Now click Change what to keep. Select Keep personal files and apps and then click Next. The upgrade process will now start. This process can take about an hour or so, therefore you’ll need to be patient. After the process is finished, your PC will be updated to the latest version and the issue will be permanently resolved. Select Family & other people from the left pane. In the right pane, click Add someone else to this PC. Now click on I don’t have this person’s sign-in information. After creating a new user account, switch to it and check if your apps are still missing. If not, you might have to start using the new account instead of your main one. Several users are also suggesting to switch back to the older build, create a new user account, and use that account while upgrading to a new build. Select the application that you want to repair and click Advanced options. Now click the Repair button. Optional: You can also click the Reset button to reset the app to default. Now repeat these steps for all affected applications. 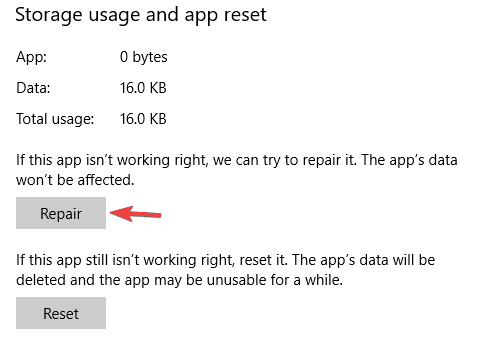 Keep in mind that some applications don’t have Repair option available, so your only option might be to reset them. Missing apps can be a problem, but we hope that you managed to solve this issue by using one of our solutions.